So you’ve only got one week in Ireland to cover the rolling green hills and narrow-lane streets of the emerald isle? No problem. 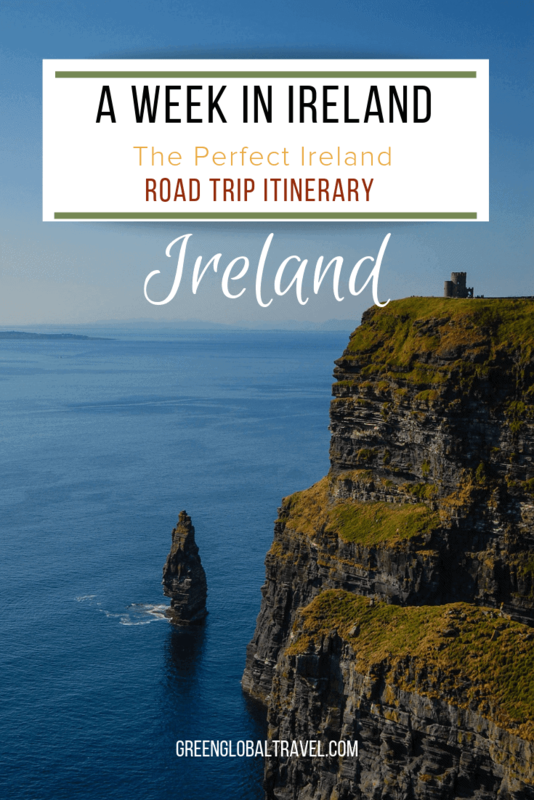 With a little energy and a LOT of driving, you’ll easily knock out the southern half of the country in one epic Ireland road trip itinerary. 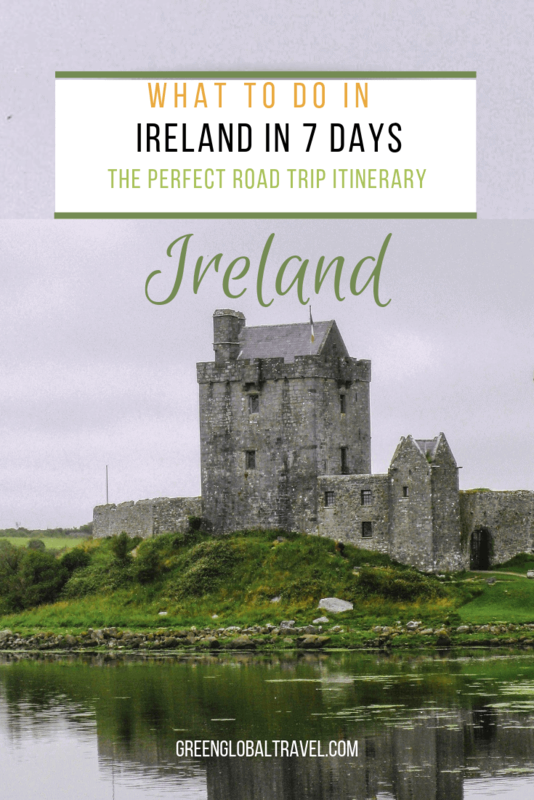 The most efficient way to tour Ireland by car is by spending a few days in each area and then keep moving in one direction. We recommend flying into Shannon and trekking 2.5 hrs to Dublin. This takes you through dozens of small towns, letting you explore castles, farms and restaurants slightly off the beaten tourist path. 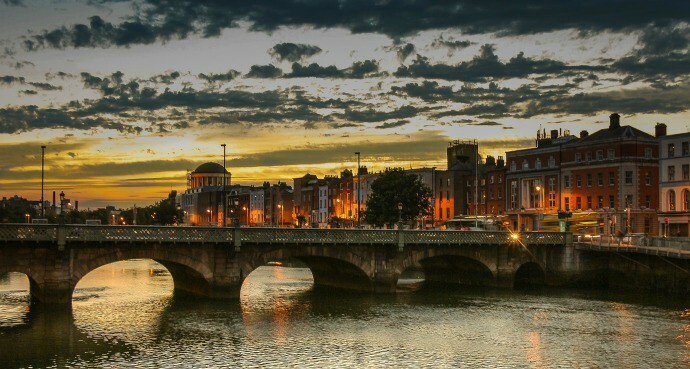 You’ll do one giant circle, avoiding Dublin’s crazy airport and making enough time to see Ireland’s best places to visit. If you plan it right, you’ll be in Dublin by early evening. 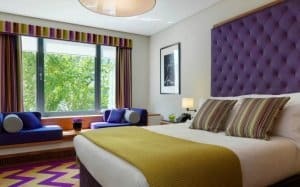 This should leave enough time to scope out Happy Hour, walk the festivities by the river, and wind up in Temple Bar for a fabulous serving of fish and chips (warning: the fish has skin and won’t necessarily be white and flaky), all before jet lag sets in. But rest easy: An Irish breakfast is the best jet lag cure there is. Sausage links, fried eggs, toast and butter are made fresh every day. You may want to steer clear of the Irish pudding, unless congealed pig’s blood is your thing. Nourished and refreshed, put on some comfortable shoes, bring your best camera and your biggest appetite. 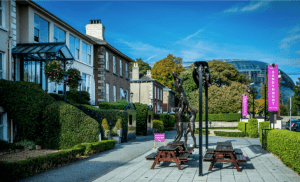 To see the most Dublin attractions, try the bus tours, or the hop on/hop off tours, which take you to the coast and back before dinner, soaking up more than you would with a map and a Rick Steves book. Don’t leave Dublin without touring the Guinness Factory. Rich in history and ending with a pint, it’s pretty much the heart of the town. Plus, that happy hour spirit kicks in at the top and you’ll “watch the magic happen” with hundreds of other happy tourists overlooking the Dublin skyline. We’ll call it Ireland’s best match to the Eiffel Tower. Knock off the day by strolling the city’s Trinity College, home of the historic Book of Kells, and quite often a good game of cricket. Head back to Temple Bar for a frothy nightcap, an Irish dance show and some hearty beef pie. The next morning drive from Dublin to Cork. Once you set out for the west coast, you’ve got a lot of stops to make the ride enjoyable. If castles are your thing, make sure to see The Rock of Cashel (which is not actually a castle, but a monastery). It’s got a phenomenal view of some serious greenery, plus tons of religious history. 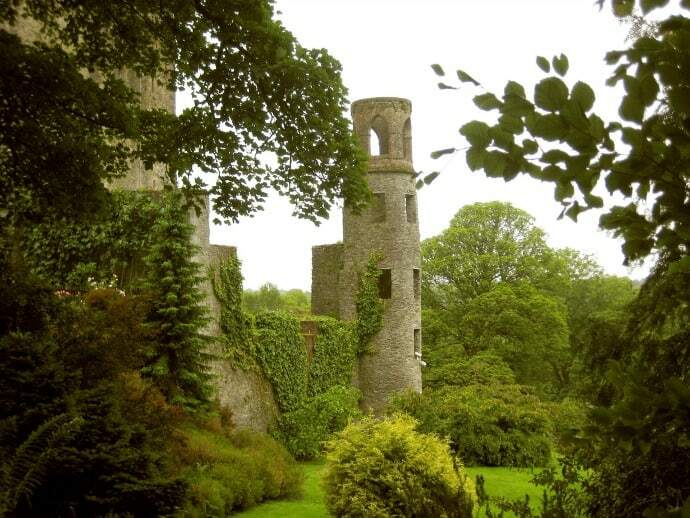 You’ll also pass through Kilkenny, where you can see the castle there, huge and sprawling. Expect hundreds of people enjoying the sunlight and ice cream stands that park in on the front lawn. Don’t feel like you need to take the tour. A simple walk of the grounds will do, and allow for this to be a quick stop. You’ll soon arrive in County Cork, housing The University College Cork. So you can expect your good ol’ college town—bars, restaurants, and academic history, all within a few square miles. 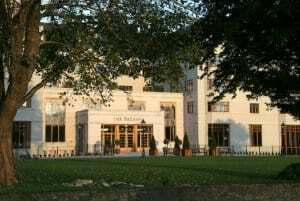 Staying here puts you in driving distance to The Blarney Castle and the famous spit-slimed Blarney Stone. There’s also the quaint harbor town of Kinsale, where you can hang at the beach, enjoy fabulous seafood, and mix with some real locals… all while enjoying your pints, of course! This is where your car really comes in handy for your one week in Ireland. Grab some ham and cheese sandwiches, get your bearings for that left side of the road, and strap in for a windy tour through the rolling mountains of southern Ireland. Gorgeous blue water, lush green slopes, and dramatic cliffs make up miles and miles of travel after the city sights of Cork and Dublin. You’ll want to stop and explore, so don’t take the tour bus for this one. 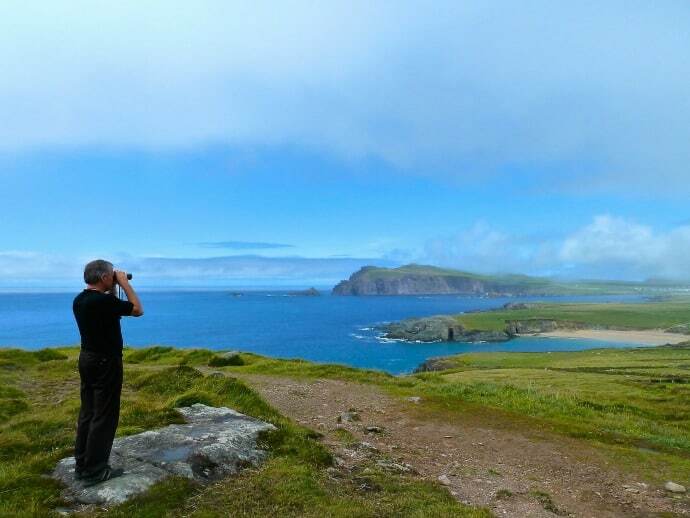 Take pictures, buy trinkets from the nomads (and watch out for their live animals), and don’t miss the Skellig Ring– cliffs that offer a better experience than those famous ones of Moher. It requires a quick uphill hike, but the view is stupendous and it’s usually sparsely populated. You can find more information online, but the family who owns the Rock’s avian view hasn’t given it anything official. If you’re keeping your eye out for it, you’ll see the signs! Give yourself a full day for Kerry. 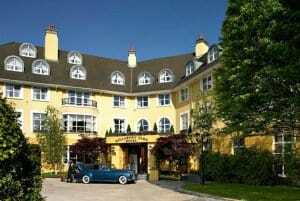 We recommend staying in Killarney, but don’t spend too much energy exploring it. 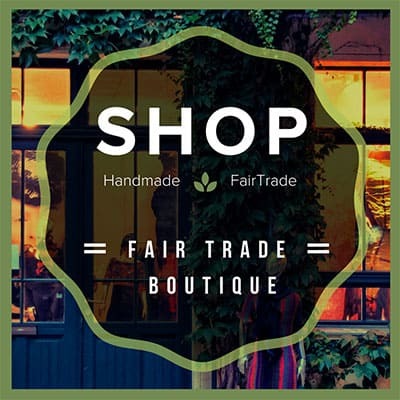 This is a tourist hole, with bustling factories of commercialized food and culture. 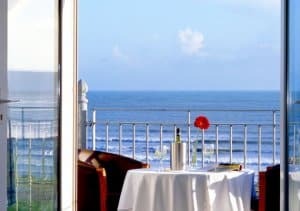 The gem of Ireland’s west side lands in the coastal cities of Lahinch and Doolin. Lahinch is a beach town, with restaurants, golf courses, beaches, and amusement rides stacked on top of each other. 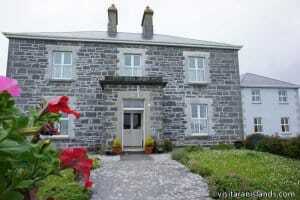 Just over the mountain, Doolin is quiet, sparse, and teeming with natural things to see in Ireland. Since it’s best known for the Cliffs of Moher, plan to take a visit. But know that any pictures you take will likely be dotted with all the raincoat colors of the rainbow, as hundreds of people flock there daily. You can do it on your own—no tour guide required. The Cliffs have a huge visitor’s center with information on the history behind the rocks. Give yourself about an hour and head over for a late afternoon boat ride view of the same rocks, but a completely different experience. Taking you right up to the rocky face, this would be our choice if you do find yourself pressed for time. 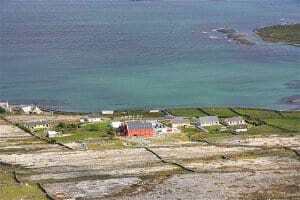 That same boat will pick you up the next morning for a day out on the Aran Islands, which rank among Europe’s most beautiful islands. 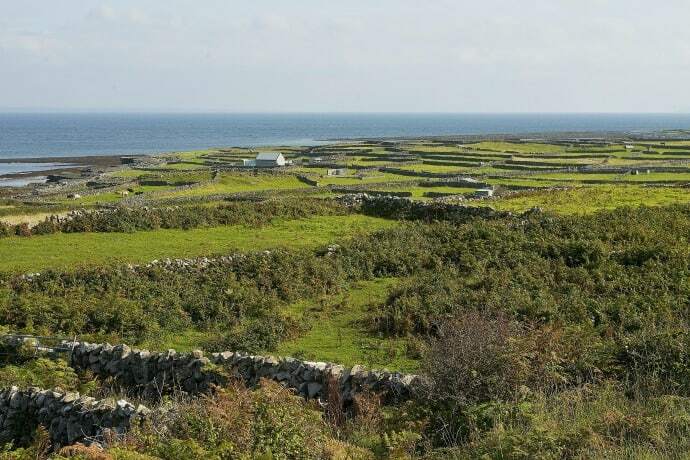 These three islands, barely two miles in diameter, reveal a more rustic taste of Irish culture. Activities here include buggy rides across some seriously harsh landscape, a view of early architecture, and even a rusted old pirate ship you can explore. You’ll have to pick an island, due to the ferry system. But local guides can help you decide which one is more up your alley. Just off the coast lies The Barrens, a natural limestone phenomenon that covers hundreds of square feet. This dynamic landscape creates a maze-like floor plan stretching to the horizon on all sides. Ancient burial grounds are dotted throughout, and rare plants peek out from between the grooves. 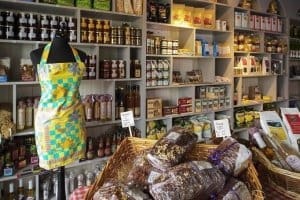 Use the last of your time in Ireland to avoid the pubs, skip out on the chips, and seek out the local markets. Make a picnic of fresh cheeses, homemade breads, good protein, and cold beer. 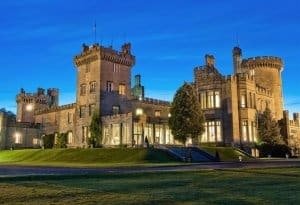 The best time to go to Ireland is April, May, September and October. 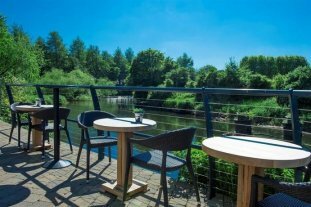 These months are the shoulder season when you are most likely to get great deals on hotels, see far less tourists, and still benefit from fairly decent weather. In July and August, you’ll find mass tourism (particularly at the Ring of Kerry) which can take away from Ireland’s charm and natural beauty. How many square miles is Ireland? Ireland is 32,599 square miles which is roughly the size of the state of Indiana. How far is Cliffs of Moher from Dublin? 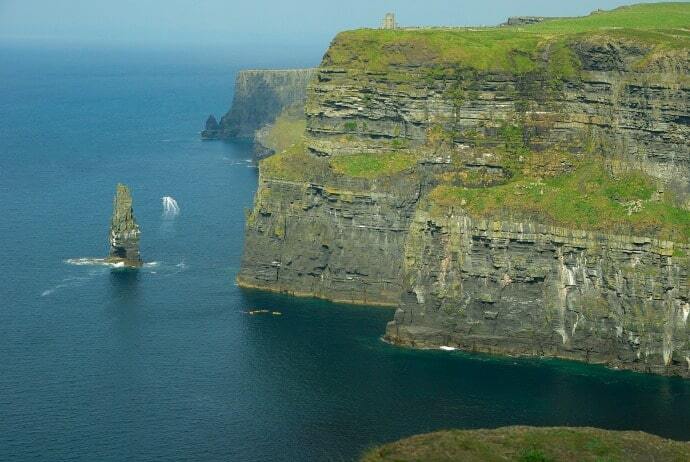 The Cliffs of Moher are a little over 3 hrs from Dublin. Dublin is on the East Coast and the Cliffs of Moher are on the West Coast so you will be driving across the country. Better views and far less people will be at the Skellig Ring cliffs. What is the drive time for Cork to Cliffs of Moher? The drive time from Cork to the Cliffs of Moher are a little over 2.5 hrs. 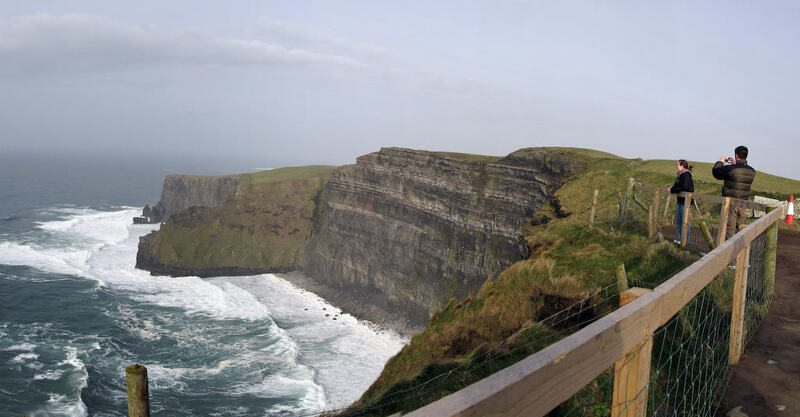 Cork is on the South East Coast and the Cliffs of Moher are on the West Coast. Waterproof shoes that are good for walking over stones and through mud. Raincoat or water resistant jacket. It can rain at anytime of year. Water resistant pants preferred, but not required. Tops that can be layered for temperature control. Warm socks (several pairs incase they get wet). Hat & gloves. They don’t take up much room in a carry-on or backpack, and can make all the difference in your comfort.